Bob Dylan (born Robert Allen Zimmerman, May 24, 1941) is an American singer-songwriter, artist, and writer. He has been an influential figure in popular music and culture for more than five decades. Much of his most celebrated work dates from the 1960s, when he was both a chronicler and a reluctant figurehead of social unrest. 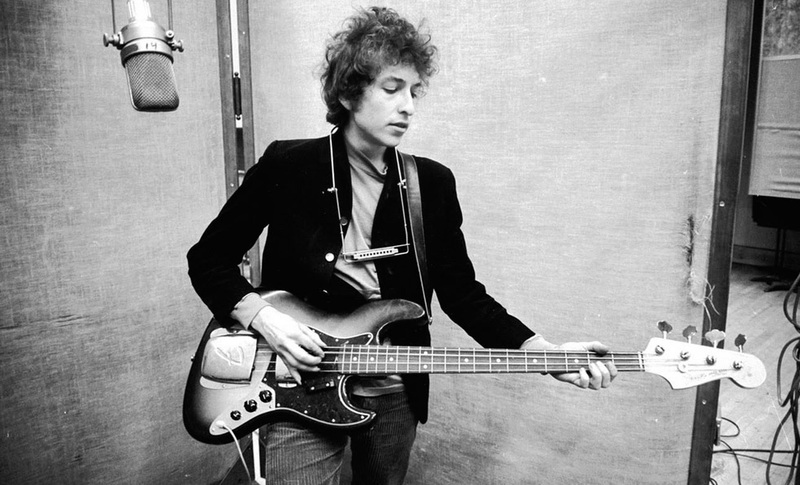 A number of Dylan's early songs, such as "Blowin' in the Wind" and "The Times They Are a-Changin'", became anthems for the American civil rights and anti-war movements. Leaving behind his initial base in the culture of the folk music revival, Dylan's six-minute single "Like a Rolling Stone" radically altered the parameters of popular music in 1965. His mid-1960s recordings, backed by rock musicians, reached the top end of the United States music charts while also attracting denunciation and criticism from others in the folk movement. Dylan's lyrics have incorporated a variety of political, social, philosophical, and literary influences. They defied existing pop music conventions and appealed hugely to the then burgeoning counterculture. Initially inspired by the performance style of Little Richard, and the songwriting of Woody Guthrie, Robert Johnson, and Hank Williams, Dylan has both amplified and personalized musical genres. His recording career, spanning fifty years, has explored many of the traditions in American song—from folk, blues, and country to gospel, rock and roll, and rockabilly to English, Scottish, and Irish folk music, embracing even jazz and swing. Dylan performs with guitar, keyboards, and harmonica. Backed by a changing line-up of musicians, he has toured steadily since the late 1980s on what has been dubbed the Never Ending Tour. His accomplishments as a recording artist and performer have been central to his career, but his greatest contribution is generally considered his songwriting. Since 1994, Dylan has published six books of drawings and paintings, and his work has been exhibited in major art galleries. As a musician, Dylan has sold more than 100 million records worldwide, making him one of the best-selling artists of all time; he has received numerous awards including Grammy, Golden Globe, and Academy Award; he has been inducted into the Rock and Roll Hall of Fame, Minnesota Music Hall of Fame, Nashville Songwriters Hall of Fame, and Songwriters Hall of Fame. The Pulitzer Prize jury in 2008 awarded him a special citation for "his profound impact on popular music and American culture, marked by lyrical compositions of extraordinary poetic power." In May 2012, Dylan received the Presidential Medal of Freedom from President Barack Obama. "Knockin' on Heaven's Door" is a song written and sung by Bob Dylan for the soundtrack of the 1973 film Pat Garrett and Billy the Kid. Released as a single, it reached #12 on the Billboard Hot 100 singles chart. Described as "an exercise in splendid simplicity," the song, measured simply in terms of the number of other artists who have covered it, is one of Dylan's most popular post-1960s compositions, and certainly one my favorite Dylan songs. The song describes the collapse of a deputy sheriff, dying from a bullet wound; he tells his wife "Mama, take this badge off of me; I can't use it anymore." 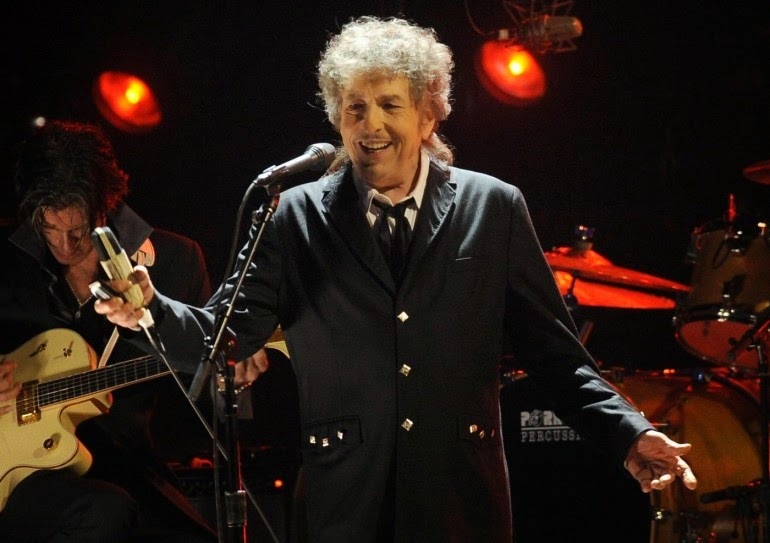 Over the years, Dylan has changed the lyrics, as have others who have performed this song.